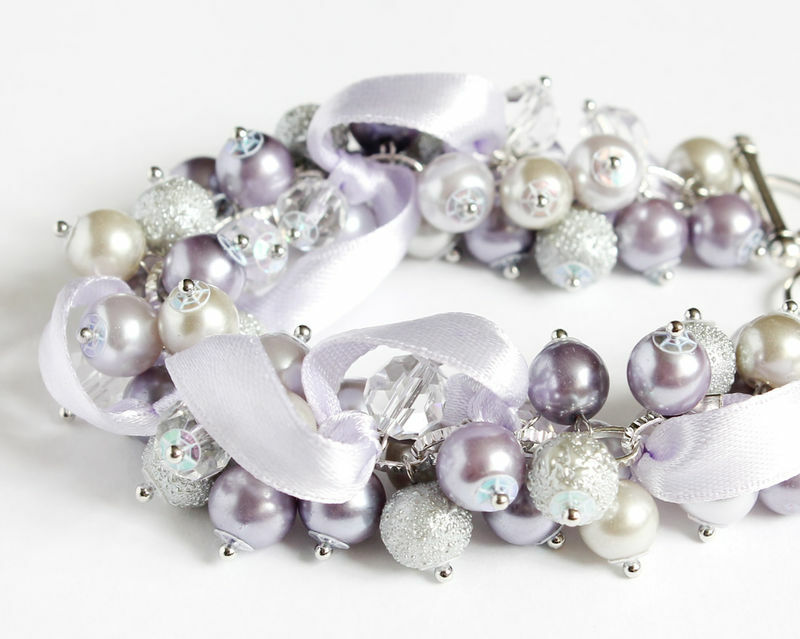 Cluster necklace in lilac, lavender and light gray. Made of glass pearls, glass crystals and rough surface plastic beads. Suitable for bridesmaid, for prom, banquet, wedding party or any dress-up events.